I officially entered the Navy in 1999 however I had spent a significant amount of my young life hanging around the Navy as a “Navy Brat” as well as a Navy Junior ROTC Cadet. 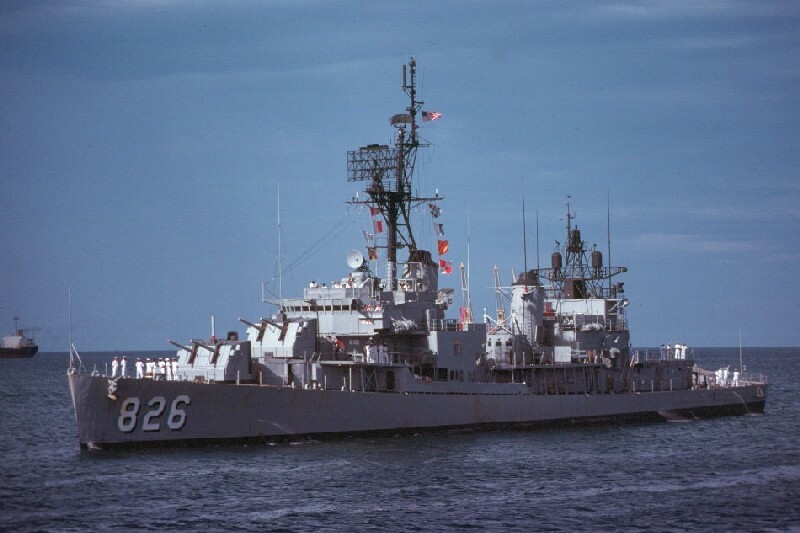 My first “underway” was returning from the Philippines on the USS J. C. Breckenridge AP 176 in 1964. 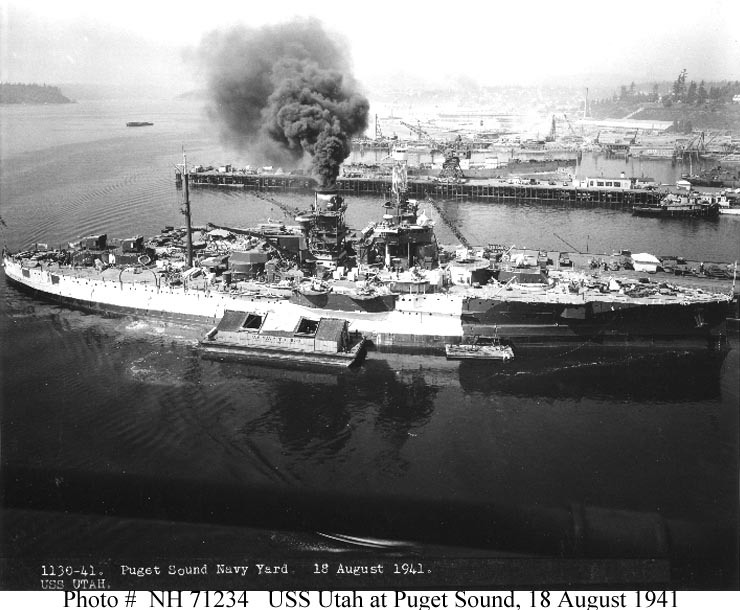 The ship was a troopship and at the time was engaged in the transport of military personnel and their dependents from the Far East to San Fransisco. 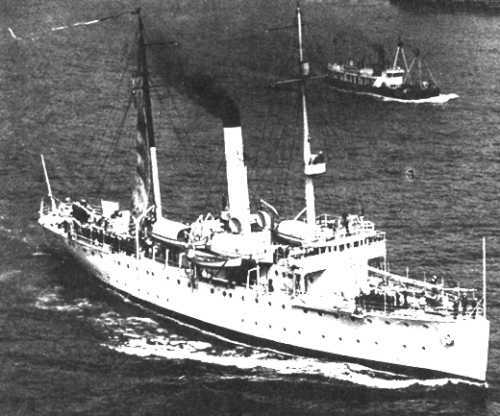 In this capacity the ship made regular stops at Guam, Yokosuka, Okinawa, and Inchon, as well as Adak, Alaska, and Midway Island as she sailed between the Philippines, Japan and the west coast. We rode her back following my father’s assignment at Cubi Point Naval Air Station. The trip across the Pacific was something that I remember to this day. A Marine stood guard outside of the family quarters in a starched “sateen” fatigue uniform. I remember Marines going over the side of the ship into waiting landing craft at one stop, probably Inchon. I had a tee-shirt from the ship that I wore proudly until it was a tattered rag. When I entered High School I joined the Navy Junior ROTC unit. I was very fortunate because our instructors, LCDR Jim Breedlove and Senior Chief Petty Officer John Ness ensured that we had many opportunities to go underway on various ships. 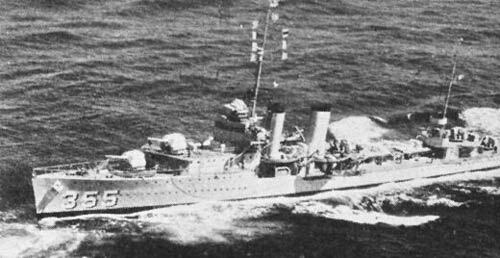 The first of these was the USS Agerholm DD-826 a Gearing Class destroyer commissioned in 1946 which had received a FRAM-1 modernization and fired the only live nuclear ASROC. 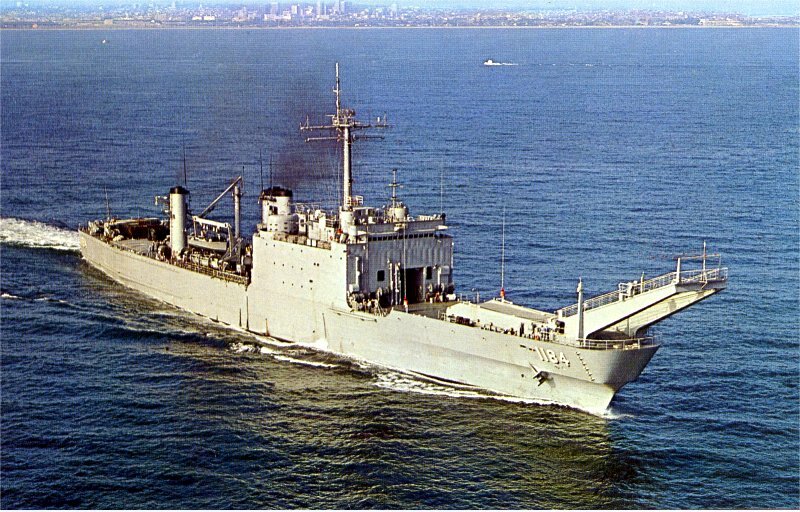 I embarked Agerholm in San Diego with 5 other cadets in October 1975. 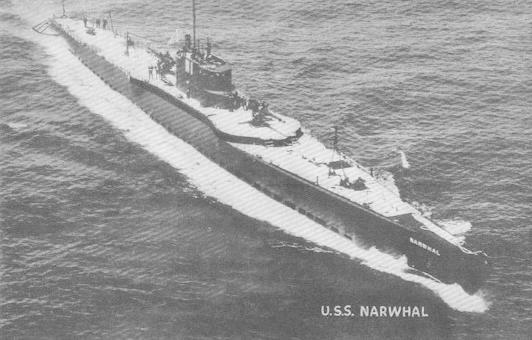 During the trip we were able to observe gunnery exercises in the #2 5″ 38 gun mount and help man a towing hawser in exercises with the USS O’Callahan and USS Carpenter DD-825. The trip was exhilarating as we rode heavy seas, and got to stand watches alongside real sailors. 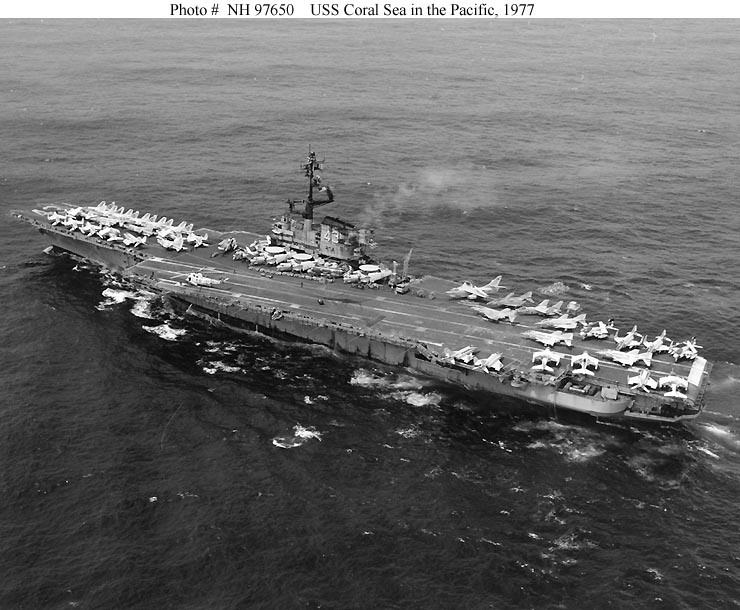 The second trip for me was on the USS Coral Sea in July 1976 where I spent 2 weeks working in the ship’s medical department. The trip about Coral Sea was interesting as we were able to observe flight operations and see how carrier operated. 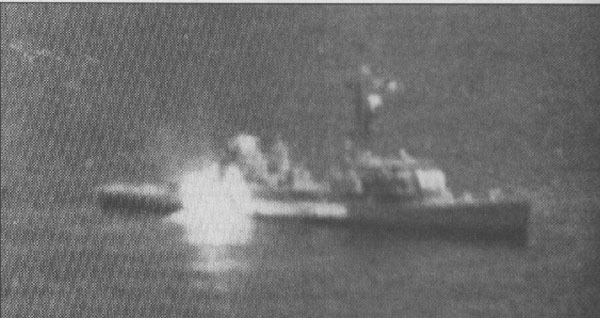 I then went on the USS Pyro in the fall of 1976 for a 5 day underway where I witnessed a burial at sea and met the chaplain who covered the service force. On Pyro I was able to work with the Signalmen. 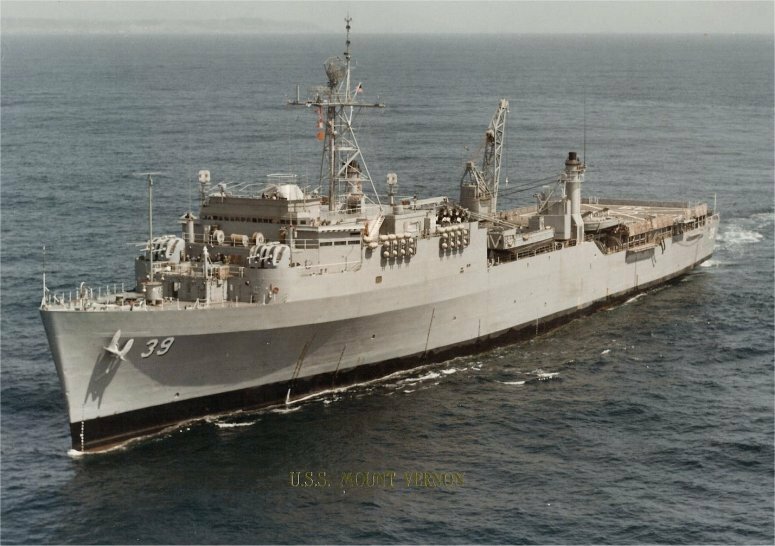 In February 1977 a number of us traveled to Portland Oregon to embark on USS Mount Vernon LSD-39 for its trip from an overhaul back to her home port of San Diego during which we disembarked at Alameda. That was an interesting trip as well as upon entering the Pacific from the Colombia River we ran into a major storm and we got to see how a flat-bottomed amphibious ship rode in heavy seas, the answer, not well. On the Mount Vernon we stood various watches the most memorable was in the Main Engineering plant. Mount Vernon like most of the ships of the day was powered by steam turbines and the Engine Room was about 100 degrees. 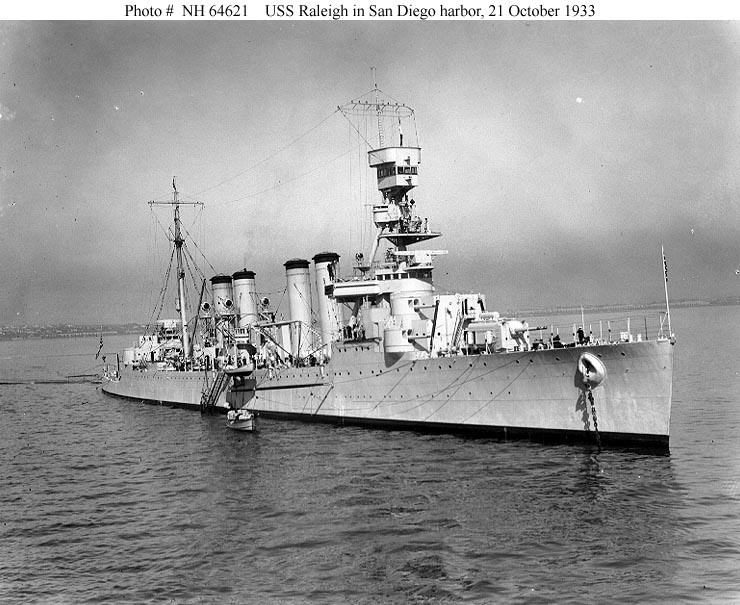 My final underway was a round trip from San Diego to Pearl Harbor and back. On the outbound trip we rode the USS Frederick LST-1184 as it transited with its Amphibious Group of 7 ships for a WESTPAC deployment. 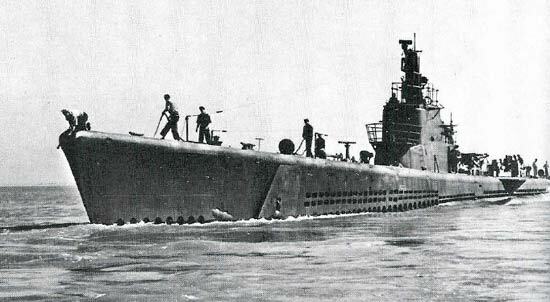 On Frederick I was paired with the Operations department and Navigation division. This was interesting as I got to practice skills that I had learned in the classroom as well as learn about the early satellite navigation systems Loran and Omega. It was on Frederick that I first felt the call to be a Navy Chaplain and aboard which I would celebrate my first Eucharist underway 23 years later. 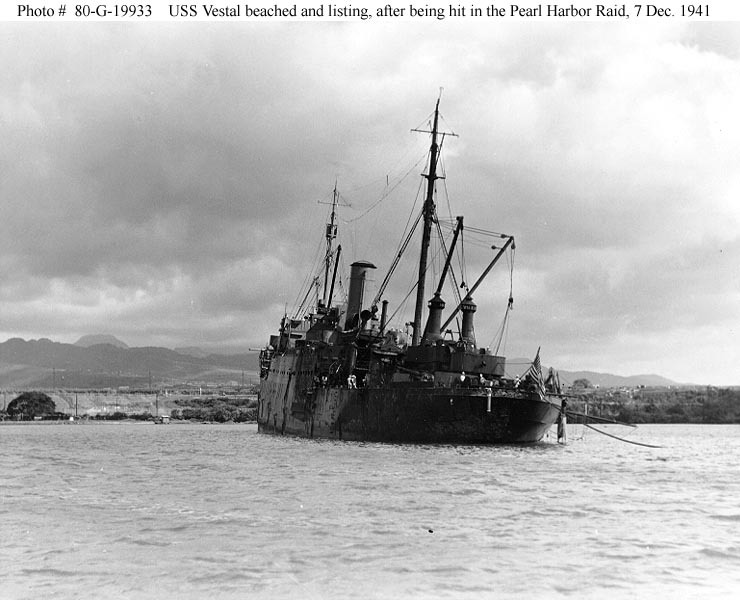 We spent a week in Peal Harbor when I was able to visit the USS Arizona and USS Utah Memorials, meet Navy Divers, Army Maritime Transportation Corps personnel and tour their landing craft. We had some liberty in Pearl and the son of one of my parents friends from the Navy picked me up from a day of snorkeling during which I was badly sunburned with 2nd degree burns on my back. This lent me the nickname “Lobsterman” by my fellow cadets. These journeys were important in my life, they put a love of the sea and love of the Navy deep in me that could not be quenched even by my 17 and a half years of service in the Army. 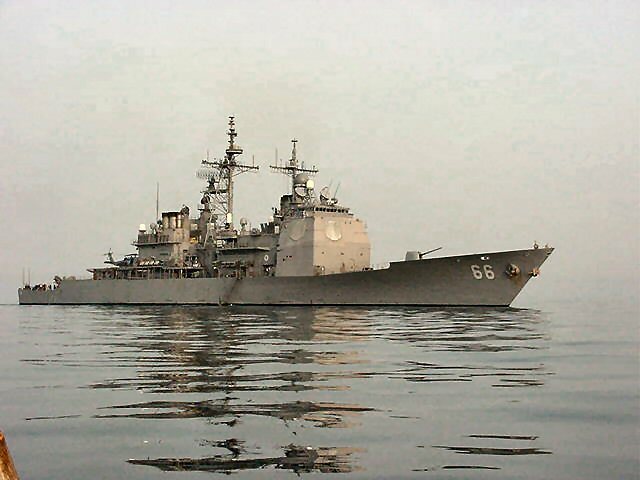 As a Chaplain I had the privilege of serving on the USS Hue City CG-66. I still love the sea and who knows if I will get another sea tour, but I have been blessed in all of these experiences. 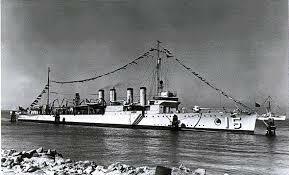 Of the ships themselves only Hue City is active in the US Navy while Frederick was sold to Mexico where she still serves. 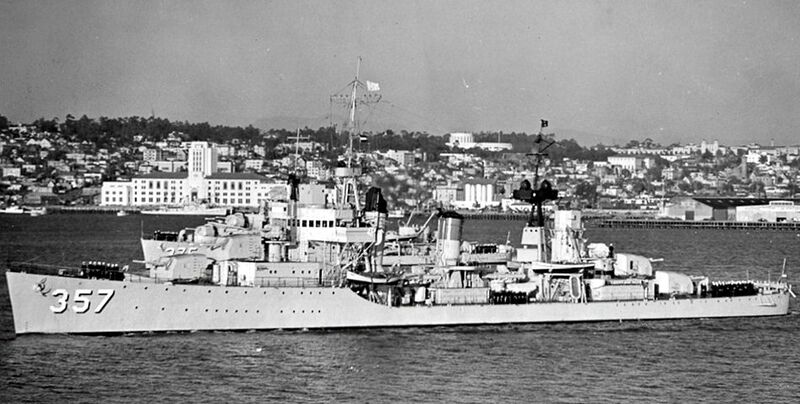 Agerholm was expended as a target for the Harpoon missile system, Breckenridge, Coral Sea, Gray, Portland were scrapped and Pyro was decommissioned and remains in the National Defense Reserve Fleet at Suisun Bay California. 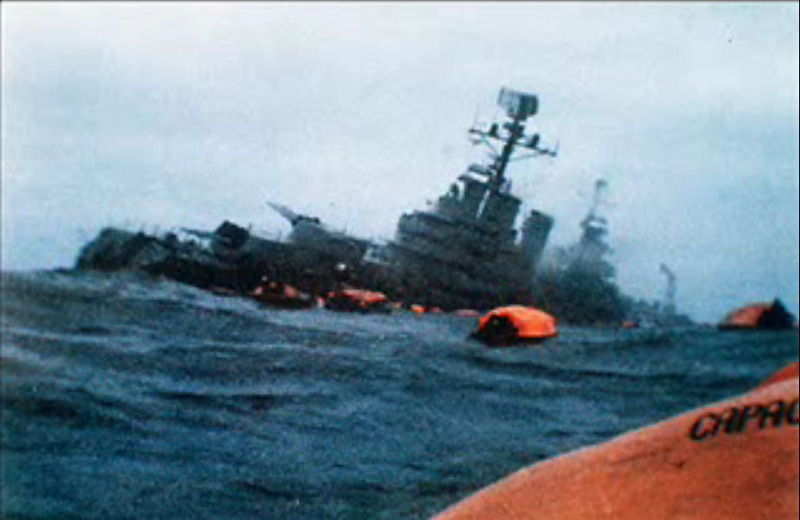 They were all great ships manned by great crews. I have found that as I get older I find there are moments where eras end. Today was one of those days. I came home from my overnight on call at the Medical Center I checked my e-mail and found a message from Maggie Ness. She was the wife of my1st year NJROTC at Edison High School, Stockton California, Chief Petty Officer John Ness. She wrote to inform us that John had passed away on Good Friday after a long illness. The death of “Chief” was expected. As I said he had been sick for many years and had come back home in hospice care. His death followed that of our Senior Instructor and Detachment OIC, LCDR Jim Breedlove by about 14 months. LCDR Breedlove died unexpectedly after a short illness shortly before I returned from Iraq last January. Both of these men had a profound influence on me and taught me many lessons. From them I learned a lot about responsibility, honor and commitment. They had founded the detachment in the early 1970s which was not when you think about it a great time to begin any military activity on any campus as Vietnam was winding down. Both men had recently retired from the Navy. 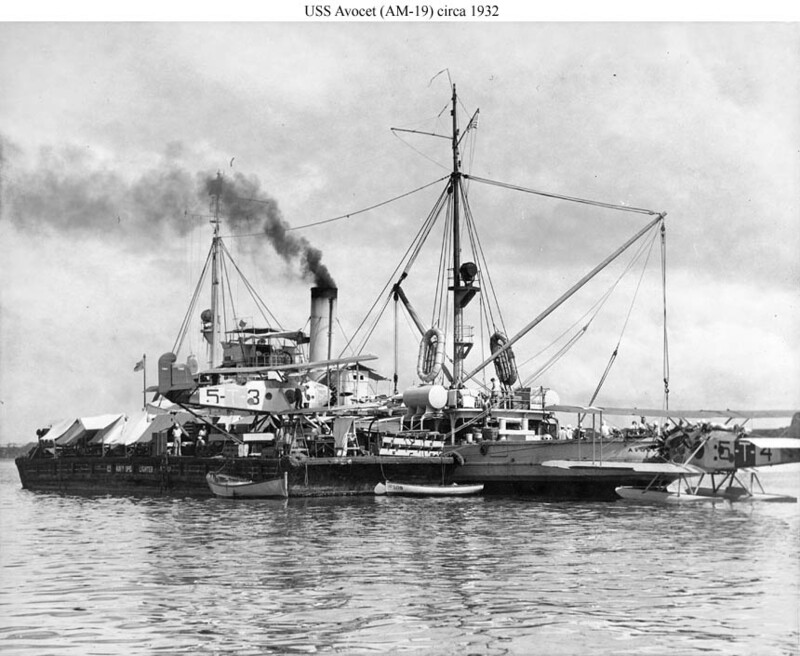 LCDR Breedlove was what we would now call a Surface Warfare Officer who spent a lot of his career in ship’s Engineering Departments serving often as the Chief Engineer. Chief was a Cryptologic Technician. In short, a codebreaker. Chief has spent a lot of his career working in the intelligence side of the house. These men were the glue that helped guide me through high school. Their efforts expanded my world. 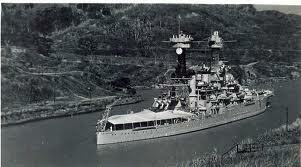 My world had become much smaller when my dad retired from the Navy in 1974 and I was miserable. Yet because of these men my world expanded, in fact the world again became a place of wonder. 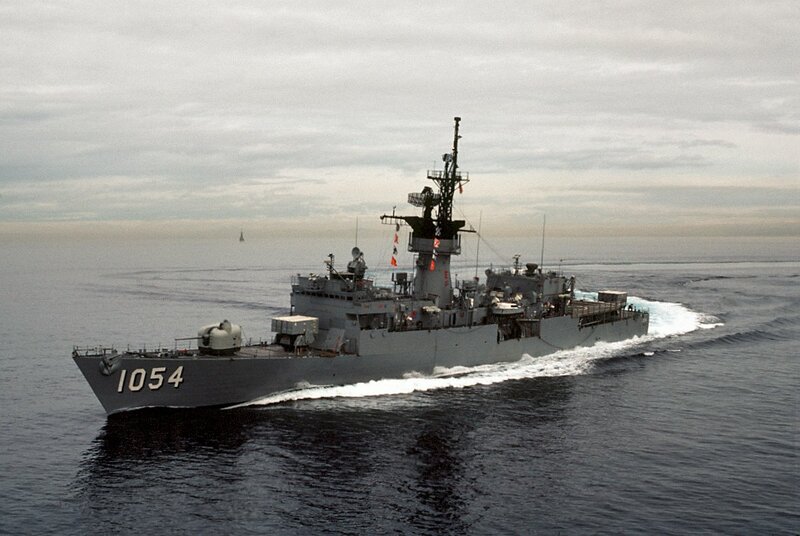 During the fall of my sophomore year I was able to go to San Diego and ride the USS Agerholm DD-826 up the coast and home. 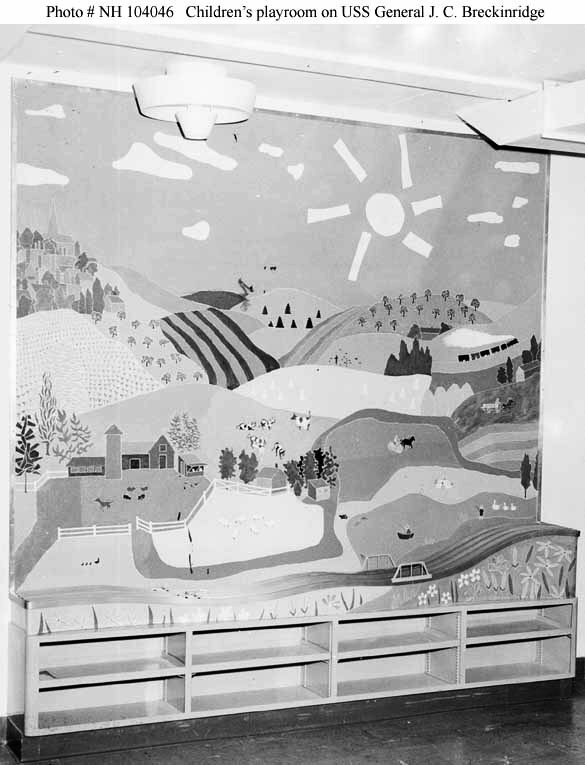 Later in the fall we went to Mare Island to spend time with the “Riverine” forces of Coastal River Division XI. That spring I went to a “mini-boot camp” at NTC San Diego. The next summer I spent a couple of weeks on the USS Coral Sea CV-43 and get some “on the job training” in the ship’s Medical Department. On Coral Sea I was able to see the intricate workings of flight operations on a aircraft carrier. 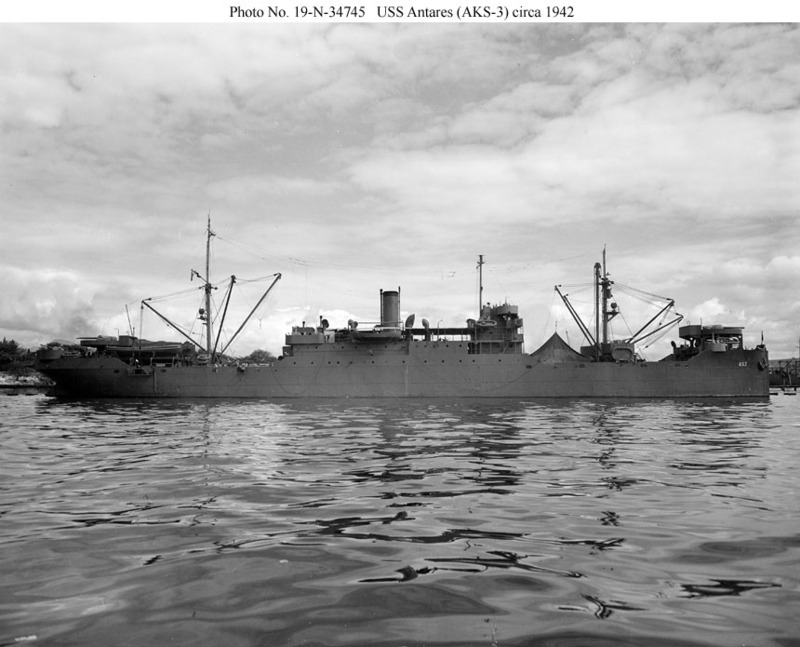 Coming back to school we got a ride on the USS Pyro AE-25 a ammunition ship based out of Alameda California. On Pyro I met a Navy Chaplain and talked with him about the chaplaincy. I also saw my first burial at sea. The next winter we traveled to Portland Oregon to board the USS Mount Vernon LST-39 coming out of the yards and going back to California. My senior year was the highlight of my time in High School. 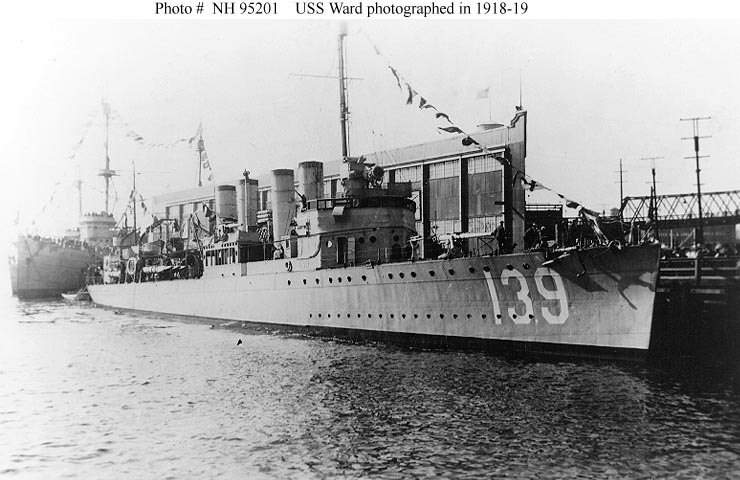 A group of us went down to San Diego and took USS Frederick LST-1184 from San Diego to Pearl Harbor. We spent a week at Pearl seeing the history of the base, the USS Arizona and USS Utah memorials and spent Easter Sunday there. While there I spent a day snorkeling at Hanauma Bay and came out with the sunburn from Hell. One of my friends, Jeff Vanover still remembers me as the “Lobster man” after that experience. We rode the USS Gray FF-1054 back to San Diego and again learned a lot. On Gray I met with a destroyer squadron chaplain and learned more about the Chaplaincy. I sent a post card to my grandparents from the Gray. I found it when visiting my grandmother in 1995. It said: “Dear Ma Maw and Pa Paw, I think that God is calling me to be a Navy Chaplain.” At the time I was a civilian hospital and Army Reserve Chaplain,. I chucked and to her that “At least I got the chaplain part right.” I had no idea that the Deity herself would lead me into the Navy a few short years later. 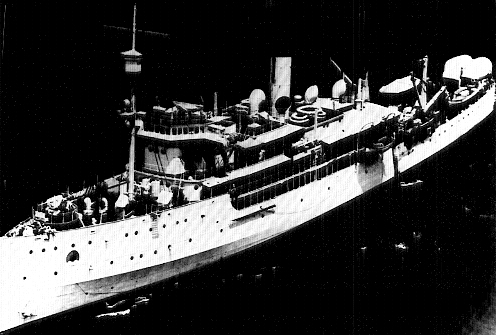 Other Cadets went on other cruises. 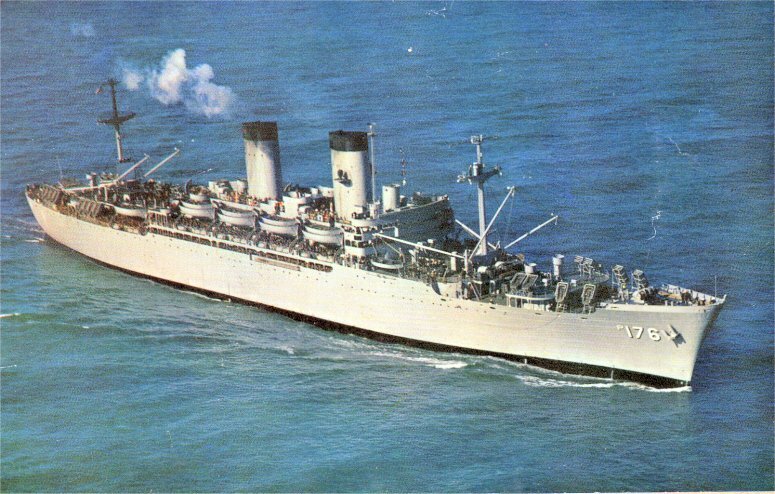 Several rode the USS Blue Ridge LCC-19 to Acuploco Mexico. Others went on a Coast Guard cutter for 60 days in the summer on Alsakan fisheries patrol. There are several things to note about the Hawaii trip. It was over three weeks long, which because part of the time was Easter break (yes it was still Easter back then) we missed two weeks of school. Some people would say that this would hurt students academicly, but I think not. Sometimes I think that kids need to get out and see the world under the care and supervision of mature people. You can always catch up on academics, but to experience the world is something most kids miss out on. Commander Breedlove and Chief Ness gave us the chance to explore and see things that other kids would never see. 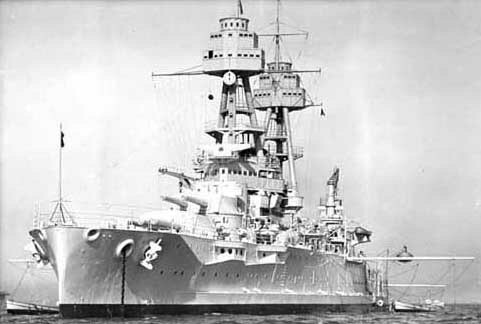 For me the more important facets were that the trip put in my heart a love of the sea, and the call to be a Navy Chaplain while on Frederick, something that was driven home at Pearl Harbor and coming back on the Gray. Even more interesting was that in April 2001, about 23 years after that I celebrated my first Holy Eucharist underway on Frederick. 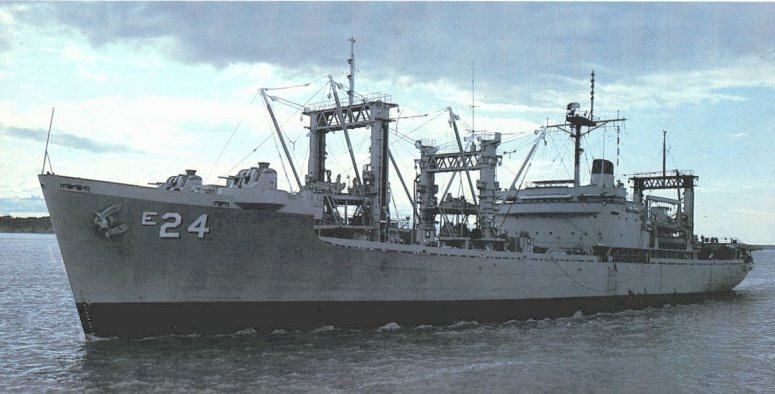 She was then the last LST on active service in the US Navy when she picked my Marine unit up in Pohang South Korea. The Eucharist happened to be on Easter Sunday. Talk about almost impossible occurrences. If there is such a thing as confirmation of where you are supposed to be, I think that this qualifies. Anyway, those are experiences that these two men allowed us to experience. I don’t know of many high school students who got to spend about 70 days underway on Navy ships and have all the other experiences that these emn allowed us to have. 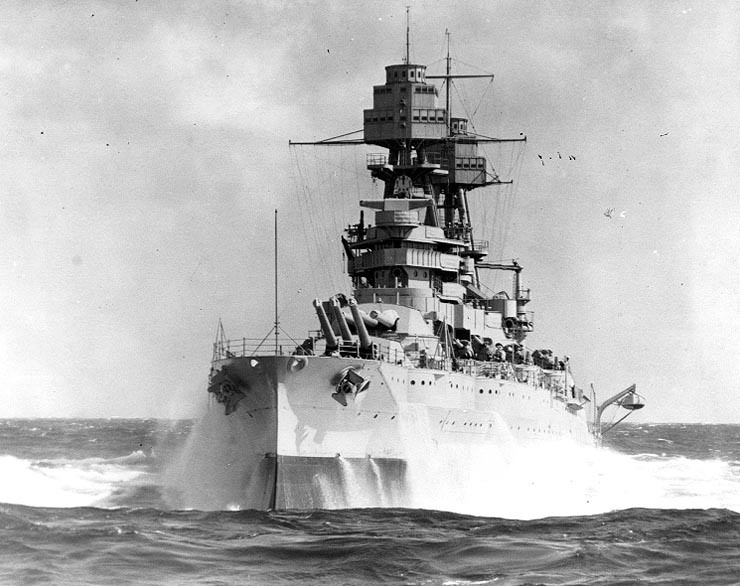 Now it is time for some “Sea Stories.” Chief Ness was a colorful man, as many Chiefs of his era were. If you have seen the movie Men of Honor you can get to understand a little bit of the Navy culture that shaped Chief Ness. He was not profane like Robert DeNiro’s character, Master Chief Billy Sunday, but he was a man who pushed us. He was to often blunt and to the point. At the same time he was caring while not taking any crap from anyone. He taught us to were the uniform correctly, close order drill, basic seamanship and other subjects that would be common to any new sailor. As far as academics, he was a good teacher. Like I said he didn’t take any crap. We had a couple of guys who cheated on a test that sophomore year, both scoring an “A.” Chief caught them, it’s hard to fool a codebreaker. He brought them to the front of the class and told them that they would each get half on an “A.” They both thought that meant a “C.” Instead chief drew an “A” on the chalkboard and erased the right half of the letter, leaving the figure of an “F.” He also taught us to be on time. Something that in my later years I have become almost pathological about. We were getting on a bus to go to NTC San Diego. There was one Cadet who was late. At the appointed hour Chief directed the bus to start moving although a car was pulling into the parking lot and the cadet was getting out. The Cadet did not make an effort to flag down or chase the bus, so Chief left him. 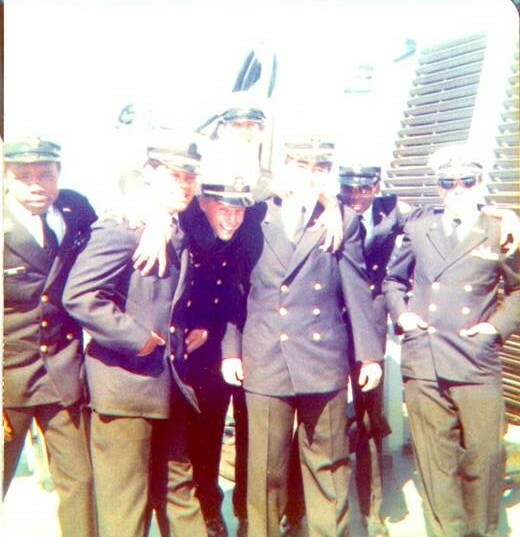 He then told us if the young man had made an effort that he would have stopped the bus, but the Navy would not delay a ship’s departure for one person and that we needed to see the consequences of being “UA.” He also had an award that he gave to Cadets who had problems goofing things up. It was a 10 pound shot put mounted on a plaque. He called it the “Iron Ball” award for people who could “foul up an iron ball.” He let us settle our class grades. He used a “Bell curve” to do our final grade. A the end of the quarter he would put every student’s cumulative point total on the board with no names shown. He would then ask us to figure out who should get what grades using the Bell curve as our standard. Thus we selected 10% for “A’s” 20% for “B’s” 40% for “C’s” 20% for “D’s” and 10% for “F’s.” Now he allowed some room for maneuver if there were natural big breaks between scores, but he made us make the decision. He did because he knew that we would all have to make hard decisions that impacted other people later in life and that we had to learn that lesson early. Chief almost always had his ever-present cup of black coffee, with a ceramic frog inside of it eyes looking up. We used to joke that his forefinger was permanently molded ino the shape of a coffee mug handle. Chief had a heart of gold. He had nicknames for us, and he gave us a hard time, but when we were down he wouldn’t kick us. He taught leadership lessons that I will not forget. LCDR Breedlove was my mentor and later in life friend. 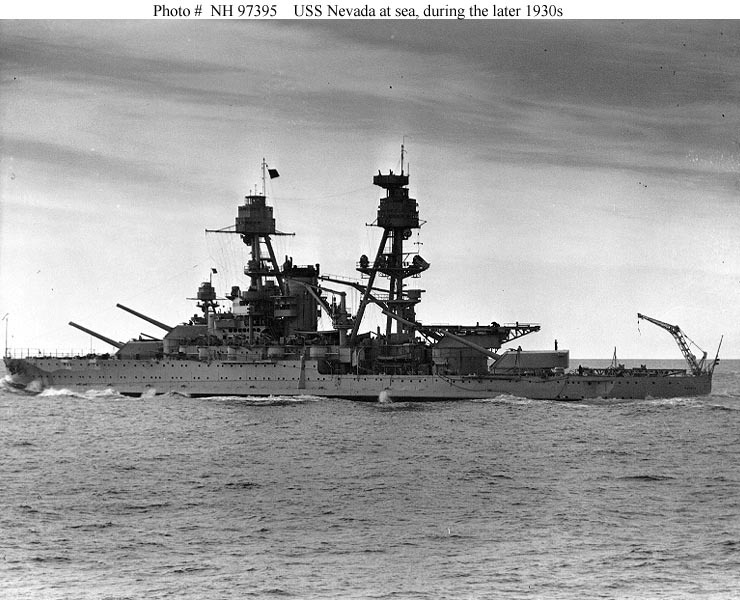 He taught us more advanced Naval subjects including Naval History, Law and customs. He also taught us navigation, damage control, weapons systems and combat systems. He arranged for all of our trips and went with us on many of them. In short he began to teach us to be Naval Officers. After I graduated I staying in contact with Jim. He was always excited to hear what was going on in my life. Whenever I went home to visit my family I always set aside time to meet him for lunch and have a couple of beers together. He was a gentleman, a family man and a Christian. His death, coming at the end of my time in Iraq was devastating. We had stayed in contact during the deployment and his sudden death shook me. I have been looking forward to once again sharing a meal and a beer or two together. I have gone on a little long, but these two men meant a lot to me. They were fine men, loved their families and cared enough for us to let us hard lessons before they became lessons that would kill us later in life. A fair number of us went into the military, some for just an enlistment and others for full careers. I’m the last of our class on active duty. I even met one of my classmates when I was an Army Lieutenant going through West Berlin back in late 1986. We had been in Chief’s class that first year and he happened to recognize me. Tomorrow is Easter and I know that John and Jim are present with God. Pray for their families, especially Maggie. May their souls and the souls of all the departed, rest in peace.